In the process of moving, it was torn. I left it behind. I can only assume it is in the garbage somewhere. 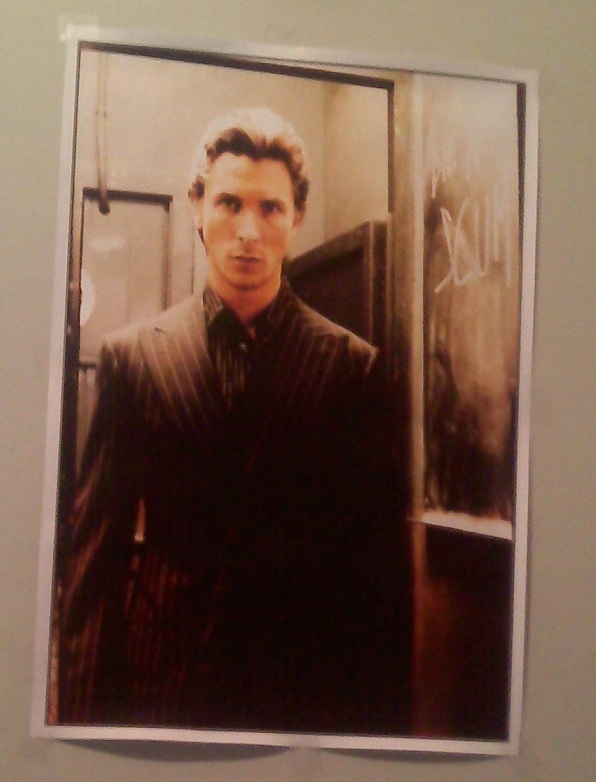 So now I don’t have Christian Bale staring at me, looking vaguely disapproving. I wanted the poster as a motivational tool, and it really did work. In my mind, Christian Bale is like the human incarnation of perfection. People always take that to mean that I find him really attractive, when I don’t, and I am in fact slightly terrified of him. But fear is a very good motivation. It’s just anything he wants to do it, he does it, even if it seems impossible. Anything less than perfect isn’t good enough. But he always manages to achieve it, which is what I find so stunning about him. It’s like he’s invincible. Anyway – the moral is, when I think, “I don’t want to write this chapter right now. I’d rather be watching Archer or reruns of Income Property on HGTV.” Then I would look up and see Christian Bale, and I’d be all, “He wouldn’t go watch Archer. He’d write like 15 chapters tonight, while doing push ups, and learning Japanese.” And then I sigh and go back to work, because that’s what Christian Bale would do. So I need a new poster. 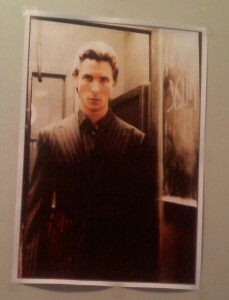 I’ve looked at other Christian Bale posters and they’re not good enough. I can mostly find Batman ones, which oddly enough, drives me nuts. Here’s a random blog from last year where I end up talking about how Christian Bale is better than our government, for no apparent reason. I’m sharing it with you, because I like it, and I like to share things. So you can read that: here. He’s probably my favourite actor for serious performances. Jim Carey takes it for everything else. Bale sounds like a right character off set as well. I’d love to meet or work with him; maybe get in a fist fight or have some drinks or something. Would be good fun. I suggest a picture of a honey badger. The honey badger would be stealing a cobra right out of a mongoose’s mouth and then eating it in front of him. While doing pushups and learning Japanese. . 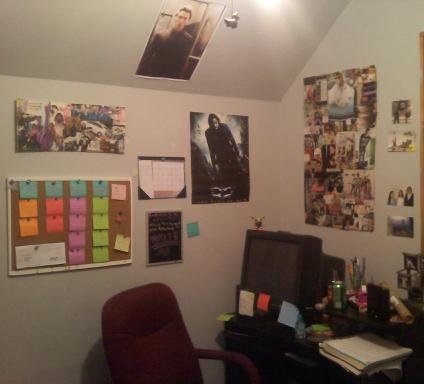 I think I need to go get a Christian Bale poster for my office. Except I do find him very attractive and might end up drooling rather than working…such a dilemma.